All welded 16 gauge steel. 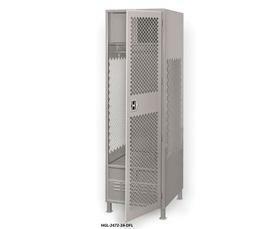 Overall height of unit is 76"H.
These athletic lockers are great for gyms, team and sport locker rooms and more. Units include a full width coat rod, 2 coat hooks and 4"H legs. The unit without the door includes a top cabinet and a 14"H foot locker with padlock hasp for secure storage. 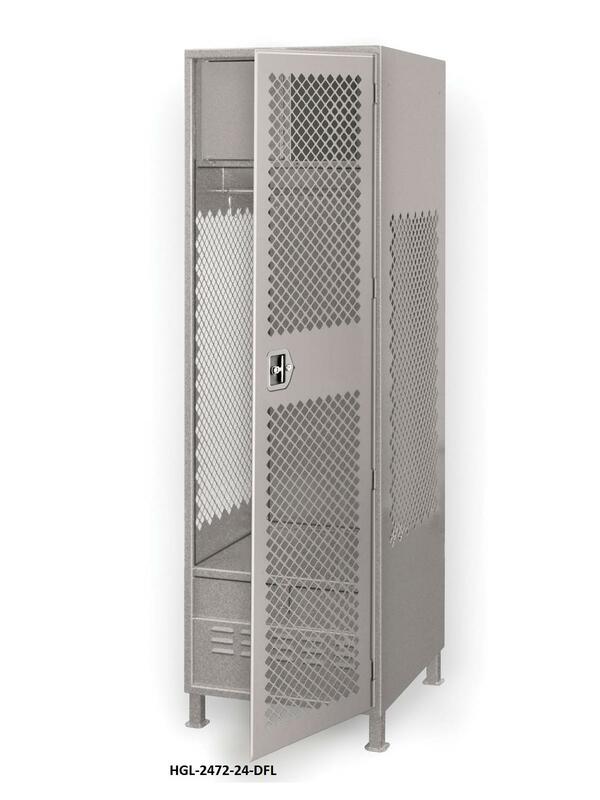 The unit with the door includes a 14"H foot locker with padlock hasp (no top cabinet included). Side locker panels and front foot locker panel are perforated to allow ventilation. Door unit is also perforated. FOB Shipping Point. Available Colors:Gray, Dark Green, Vista Green, Dark Brown, Beige, Dark Blue, Light Blue, Orange, Red, Putty, Black, White and Yellow. Click here to see more Security Cabinets !